Electric fabric scissors are not so popular, but it’s growing in popularity. 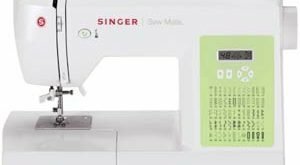 Having a high-quality one makes sewing efficient and effective. That’s what took me digging deeper into battery-operated cutting scissors. An electric scissors that you can use for your crafts, fabric, or even scrapbooking. They don’t share a resemblance with the regular scissors but can be easier to operate once you get a hang of it. Here are the 5 best electric fabric scissors to consider. As the name implies, it’s pink colored scissors stronger than it looks. This is not your regular cutting scissors, it is battery powered with 2 hours of continuous use after a full charge. Pink Power is not just for sewing, but also for other crafts projects such as quilting, dressmaking, scrapbooking or even opening packages. You can feed leather, metal, cardboard, and paper into the electric scissors. If you are professionals who rely on different cutting tools in the workshop all day, Pink Power will replace these tools. The soft grip handle of the electric cutter will make cutting comfortable and convenient. Compactly designed to be less than 1 pounds in order not to wear you out, and not too small to ensure precise cutting. Fold together multiple layers of materials and be assured that the electric cutter will power through the fabrics. Your safety is also guaranteed with the lock and safety button that prevents accidental movement. On the downside, the life cycle of the battery is a bit short for continuous use in the workshop. I’ve seen more from some cutting tools. However, for fabric cutting scissors don’t expect much more. Beyond that, Pink Power deserves a place in the toolbox of every professional crafter. Using the regular cutting scissors can be very painful and excruciating on a large scale. That’s why you need battery-operated electric scissors to make your task of cutting through different feelings as easy as possible. Looking at the design, it is ergonomically shaped to accommodate your hands without cramps. Also, its Large enough to ensure a high-level precision, accuracy without a feeling of heaviness. The blades are sharpened to cut through any material from silk, denim, jeans and other materials. Only reading through the multi-lingual instruction manual is enough to guide you in using this scissor. As a novel cutting scissors, it shows potentials with many incredible features to boast of. Get into a new cutting experience with the DWZ8 TaiWang electric cutting scissors. 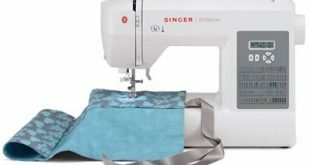 Not so many cordless fabric or craft scissors have the strength to breeze through silk and denim like Black and Decker does. Just place multiple layers of fabrics on each other for the cordless scissors to eat through. From the 3.6V lithium-ion battery, you’ll get not less than 70 minutes of cutting after a full charge. The speed at which the scissors cut through without any manual effort is commendable. 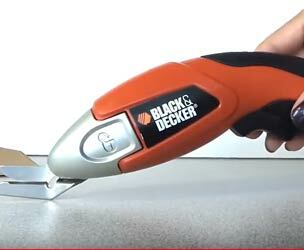 Regardless of the fabric thickness, Black and Decker SZ360 never fails to do it job excellently. Sewing is not the only intended usage of the cordless scissors. You can utilize the scissors for quilting, scrapbooking, crafts and decorating. It would have been better if the blades can be sharpened instead of being replaced. This is the only shortcoming of this electric cordless scissors. Its ergonomic design is the selling point of cordless scissors. Touted as a multipurpose cordless electric cutter, My T Fine is equipped with numerous features that keep you cutting all day. Anything and everything will be professionally divided into your desired precision. The 1.9V battery delivers to you 75 minutes of cutting after every full charge. The shape of this cutter is to ensure you are comfortable, not causing any pain to your palms. The handgrip is made of non-resistant rubber that allows it stay in your hands while using. There’s a lot the sharp blade is able to cut; leather, denim, fabric, cardboard and many more. On the downsides, charging can be a bit of a task. It also struggles with jeans. These are the two major shortcomings. 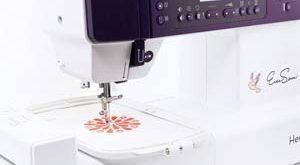 You can trust the strength of the industrial motor that powers the electronic cutter. The control of the cutter is just at your fingertip with the trigger control within the reach of your fingers. When it comes to electric scissors, the strength of the battery and the design is a priority. You should know that both features are a priority on this scissor. You need not bother about the material you’ll be working on, metal, fabrics, paper or vinyl, it’s work on it all. The lime green colored cordless cutter is designed for any age grade, a perfect tool for your 12-year-old. Read the instruction manual together and have a clue on how to use it. Consider the dexterity of your hand before buying, if you have any issue with it, then the cutter isn’t for you. Looking at the bright side, thick or thin, Simplicity Battery Operated Scissors is able to cut any fabric. Recommended as an easy to use the battery operated cutter. Involved in different crafts? My-T-Fine Cordless Electronic Cutter is a multipurpose cutter for everyday use. It’s time to do away with regular scissors and move to the future with one of the best cordless fabric scissors from this review.